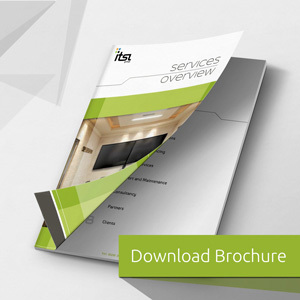 At ITSL, we understand the technology that can help you run your business more smoothly. For some it is important to keep a record of conferences and conversation between the team members in order to utilise the shared information in a better way. For others presenting a webcast to the company for a business update or as part of project management saves time and improves productivity. ITSL offer a simple and cost effective cloud recording solution for your business. Our Video Cloud recording service helps you keep a record of your business and activities and save the data for future reference. From the most sophisticated hardware to the most reliable software, you can depend on the ITSL team to help you find a customised solution perfect for your requirements. Record calls to the cloud. Review them online or download them as a file. View previous recordings in high definition and change the layout on the fly – have one participant full screen or see the presentation full screen with video participants as picture in picture. Record a piece to camera and it will be immediately available to view online. Record a presentation to camera for your team, some training or an induction for new staff. Issue a username to individuals and monitor who has watched a video and identify if they watched all of it. Record all calls by default for audit or compliance purposes. If you are regulated by the FCA this could be a must. When recording is to too slow or you have a message or event that needs to get out to many people all at the same time a Webcast is the only option. Cloud Webcast from ITSL allows you to stream video to thousands of users, concurrently, instantly, globally. ITSL can also provide full TV production facilities including cameras and operators, lighting and staging to ensure your broadcast while in HD, really is broadcast quality.